The Alcohol & Drug Service wants to raise awareness of the true social, economic and health costs of substance abuse, which is why we often visit healthcare and community groups. We also welcome national figures bringing the issues into the spotlight. 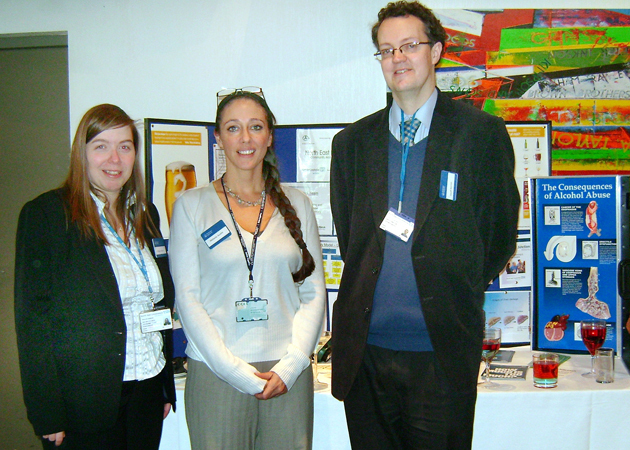 The Alcohol & Drug Service supports the call for action and recently our Community Alcohol Team joined forces with North East Public Health at their NHS Health Check conference in Grimsby. Geoff Barnes Acting Joint Director of Public HealthNorth East Lincolnshire Care Trust Plus, said: "The Alcohol & Drug Service provided an excellent stand providing information to health professionals, community groups and patients. The exhibit encouraged people to think about the levels of their alcohol consumption."